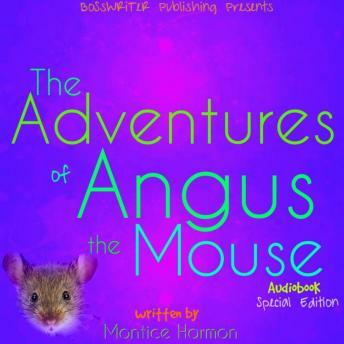 The Adventures of Angus the Mouse is about a mouse that loves to adventure and despite his passion to discover new and exciting things he battles with everyday situations we all face in life. As in fitting in and being accepted by others and most importantly by his siblings. When Angus faces his biggest fears on his journey he learns valuable lessons along the way that teaches him the true meaning of family and friendship. Wonderful children's book that influences the hearts and minds of young children. I was also inspired by the important morals included along with Angus's adventures.